Visit 8 Best and Incredibly Cheap Hill Stations in India! 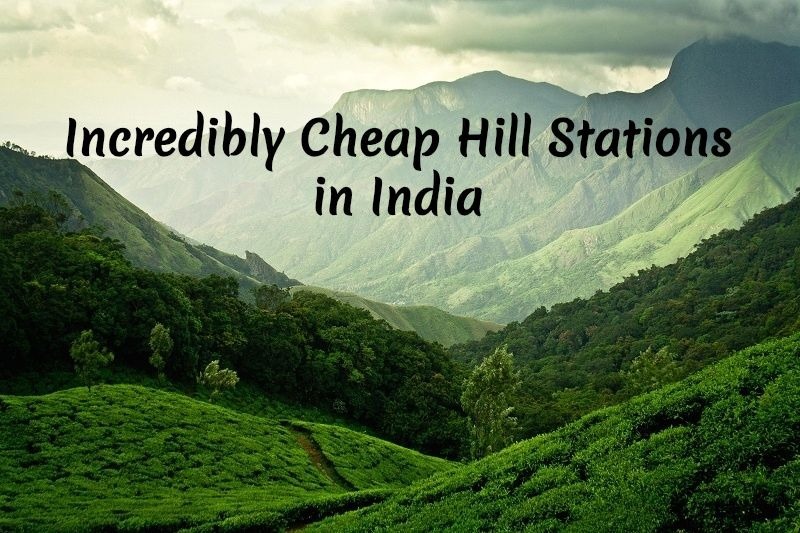 Home Travel News | Travel Guides Visit 8 Best and Incredibly Cheap Hill Stations in India! Travelers on a tight budget looking for less-expensive albeit awesome destinations to explore will be delighted to know that there are scores of cheap hill stations in India to visit. Counted among the cheap and best places to visit in summer, these affordable hill stations in India are stunning to explore. We’ve put together a list of some of the most beautiful and least expensive hill stations in India you can visit this year. Scroll through the list and find one you like the best. Make travel plans and fly down to explore some of the most spectacular cheap hill stations in India. The capital of Ladakh district, Leh is popularly considered to be the highest altitude hill station in India at a height of over 11,500 feet. With snow-covered peaks, majestic mountains, scenic valleys, and an enchanting culture, Leh is among the most picturesque and fascinating places to visit in India. Owing to its stunning landscape, Leh is among the best dream treks across India. When you visit, ensure to take your camera along and add amazing pictures to your holiday album. Top attractions: Leh Palace, Thiksey Monastery, Shanti Stupa, Shey Palace, Zanskar Range, Chamba Temple, and Dras Valley. Possibly the cheapest hill station in Uttarakhand, Kanatal is also among the most beautiful ones to visit and is best explored on foot. A walk amongst pine forests, apple orchards, and fruit trees is every nature lover’s dream. A paradise for photographers, Kanatal is popularly regarded to be the coldest hill station near Delhi. So when you visit Kanatal, one of the best cheap hill stations in India, make sure you’ve packed plenty of warm clothes. Top attractions: Dhanaulti Eco Park, Tehri Lake, Surkanda Devi Temple, Kaudia Forest, Chamba, and Tehri Dam. One of the best and quite possibly the cheapest hill station in South India, Yercaud is placed on the scenic Shevaroy hill ranges in the Eastern Ghats. Among the most stunning cheap hill stations in India to visit, Yercaud offers a ton of attractions to enjoy. The summer festival celebrated in the month of May is a top attraction and draws a huge crowd to the region. Avail cheap last minute flights and come to explore this beautiful hill station in India. Top attractions: Emerald Lake, Lady’s Seat, Killiyur Falls, Anna Park, Botanical Garden, Pagoda Point, and Shevaroy Temple. One of the best cheap hill stations near Delhi, Kasauli is also possibly the cheapest hill station in Himachal Pradesh. It was first established as a Cantonment Town by the British in 1842 and gets its name from Kausalya, the stunning mountain stream flowing between Kasauli and Jabli. A major attraction here is the Kasauli Brewery which is one of the highest distilleries and breweries in the world. Top attractions: Subathu Fort, Lower & Upper Mall, Monkey Point, Christ Church, and Sanawar. Invest in some cheap economy or business class flights and come to explore the glorious beauty of Gangtok in northeast India. The gorgeous hill town is among the most popular and best cheap hill stations in India. An important business center today, Gangtok was once a vital trade route between India and Tibet. Renowned for its striking beauty and breathtaking views of Mount Kanchenjunga, Gangtok is also an important pilgrimage site for Buddhists. Top attractions: Enchey Monastery, Tsomgo Lake, Kanchenjunga National Park, Ganesh Tok View Point, Saramsa Garden, Nathula Pass, and Hanuman Tok. Perched at an altitude of 2200 feet, this small but scenic hill station in Maharashtra is among the most beautiful places to explore in India. With the stunning Konkan coast lying on one side, Amboli has dense valleys and forests surrounding it on the other three sides. Receiving ample rainfall every monsoon, Amboli is among the greenest hill stations in India and every nature lover’s paradise. Top attractions: Amboli Falls, Mahadevgad Fort, Nagatta Falls, Sunset Point, Shirgaonkar Falls, and Sea View Point. Less crowded than its popular peers such as Munnar and Ponmudi, Wayanad is a breath of fresh air! One of the largest producers of cash crops such as tea, coffee, cardamom, pepper, and other condiments, Wayanad is among the most fascinating cheap hill stations in India to explore. Home to several rainforests, it’s also among the best monsoon travel destinations in India. This picturesque hill station in South India is an ideal weekend getaway. Top attractions: Chembra Peak, Sulthan Bathery, Edakkal Caves, Meenmutty Falls, Pookot Lake, Banasura Sagar Dam, Thirunelli Temple. One of the most picturesque cheap hill stations in India, Araku Valley situated in Visakhapatnam district is popularly referred to as Andhra Ooty. Famous for its sprawling coffee plantations and among the most popular hill stations in Andhra Pradesh, the stunning valley is surrounded by majestic mountains such as Galikonda, Chitamogondi, Sunkari Metta, and Ratakonda. Grab a few cheap flights and fly down to explore the spectacular Araku Valley in Andhra Pradesh. Top attractions: Borra Caves, Tribal Museum, Katiki Falls, Tyda, and Botanical Gardens. Top 7 Ways to Make Mardi Gras for Kids a Fun Experience!